1. In a salad bowl, mix the first 5 ingredients well. 2. 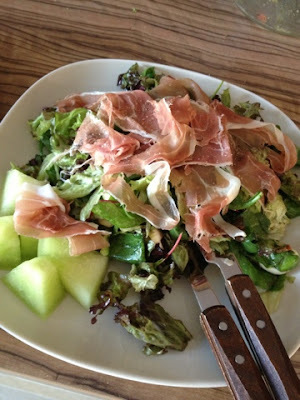 Place the mixed salad on two plates and lay the Parma ham over them. 3. Place some melon on the side and serve with some fresh ciabatta bread.